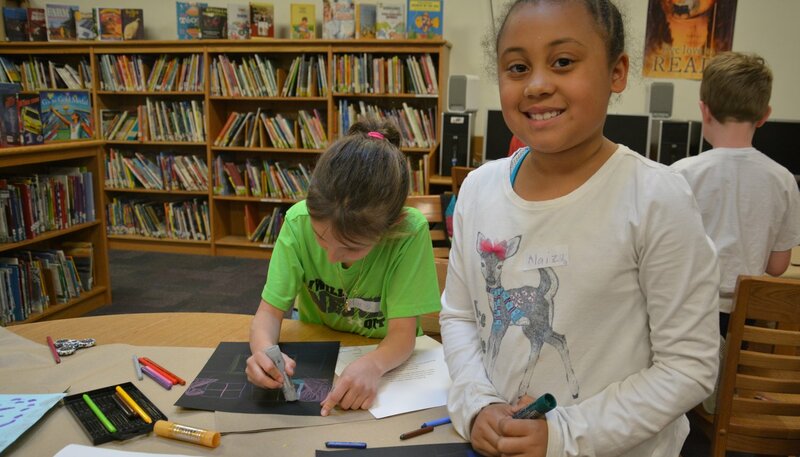 Connecting words, art, and children, these free programs use both word and image-based learning paths so that students may be inspired to experience reading and art in an entirely new way. Our theme for 2017 is “art as intersection.” Families are welcome to attend. These free programs are offered in partnership with public libraries throughout Columbia County and beyond and in schools. Pre-registration is suggested – please contact the libraries to pre-register. 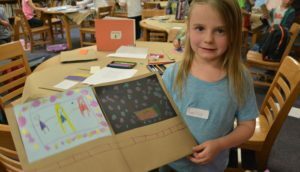 Grades K-2 program: Intersections: “places we can go, people we can meet” Inspired by Edna St. Vincent Millay’s poem “Travel” we will explore where a train can take us. We will write our own poem on the day and night sky, interspersed by bright, sparkly painted “cinders” (as in Millay’s poem). Grades K-2 program: Intersections: inspired by Emily Dickinson’s poem “The Railway Train” we will follow the path the train takes in her poem, and create illustrated scrolls of the unrolling landscape, with our own poem following the train’s path. 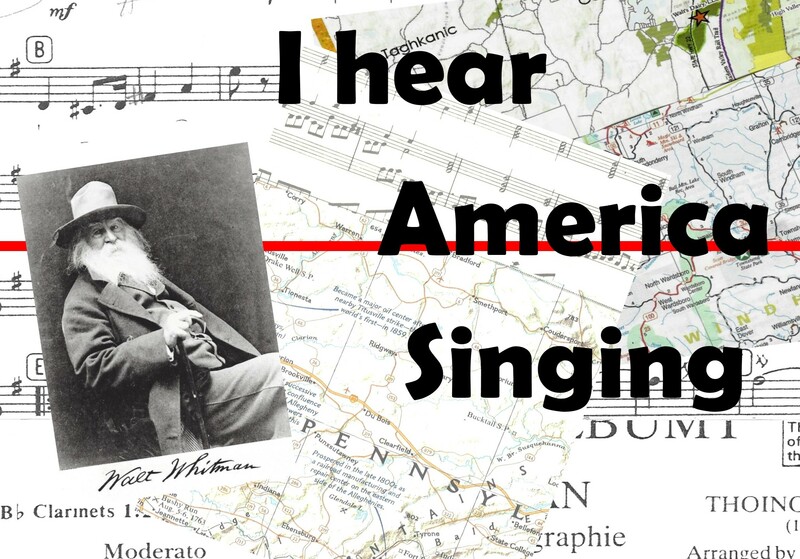 Tuesday May 23 3:30-5:30 Grades 3-6 (ages 7-13) Learn about Walt Whitman, his times, and his poem “I Hear America Singing.” Create your own word-and-map inspired sculptures to take home. Please call the Germantown Library to preregister: 518-537-5800. Nassau Library – these programs have free take-home art kits in addition to the projects we will create during the program! Please see examples of our previous Art in the Library work from 2015 and 2016. We are grateful to our community’s libraries for their partnership with ASCC to make these programs possible. 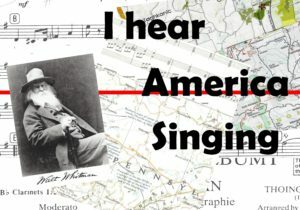 These programs are made possible in part with a Stewart’s Holiday Match Grant, the Bank of Greene County, and public funds from the Decentralization Program of the NYS Council on the Arts, administered in Columbia County by the Greene County Council on the Arts through the Community Arts Grants Fund, and the generous support of donors like you. Thank you.